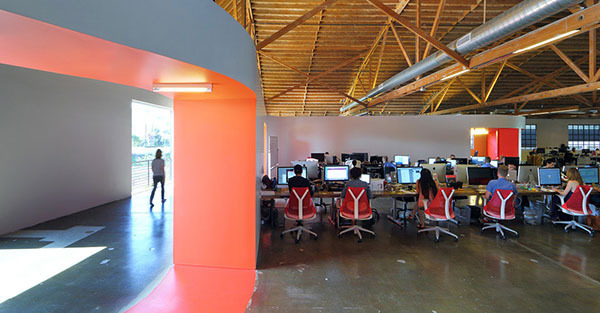 This 17,000 square foot, tenant improvement project in Culver City creates a dynamic work environment that accentuates the cultural customs found in the daily routines of this unique online startup. 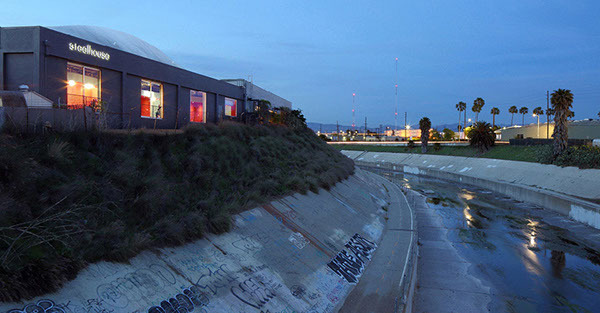 Rios Clementi Hale Studios introduced into a raw, industrial space a sinuous inhabitable wall that defines distinct boundaries between work and play environments. The wall encapsulates a large kitchen, conference rooms and lounge spaces, while also working to separate a large formal workspace from additional informal social spaces. 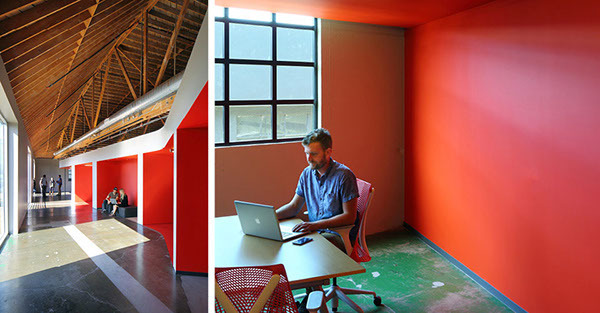 Using color and texture, RCHS distinguishes the programmed interior spaces from the open work spaces where neutrality and visual clarity are required. 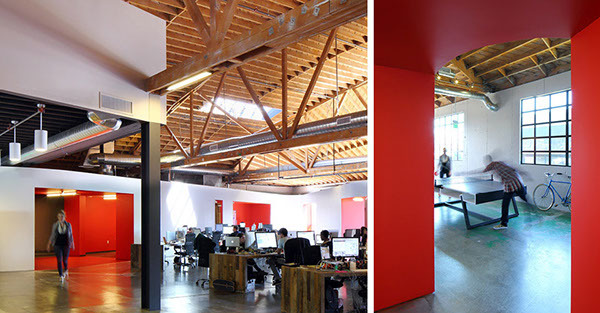 With the capacity to hold up to a 140 employees, the spaces are designed to offer a variety of conditioned working spaces in response to the structure of the company. Quite, dark and controlled spaces are captured under a mezzanine to help bring focus to the sales team, while interior terraced landscapes provide informal comforts for team discussions and creative collaboration. 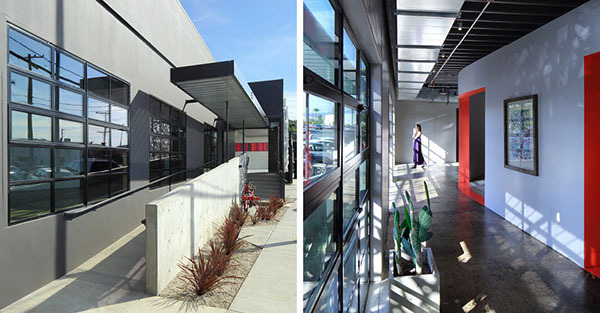 Located within a unique campus of creative offices in Culver City, Steelhouse subtly finds identity through the combination of a colored, perforated metal canopy and steel-clad pivot doors that extend into the lobby providing an introduction to the dynamic interiors. In addition, RCHS proposed a complimentary palette of exterior landscape plantings to integrate into the overall campus.